Blaze the cowgirl. 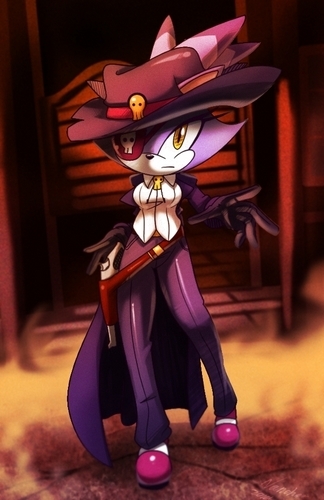 Blaze as a cowgirl, nice pic of her :). HD Wallpaper and background images in the Blaze the Cat club tagged: blaze cat cowgirl. you know what next game SEGA should make for Sonic? A cowboy theme, now that i saw this picture. Blaze could look like that and be one of the main characters. Drop the gun! She'll score multiple headshots!